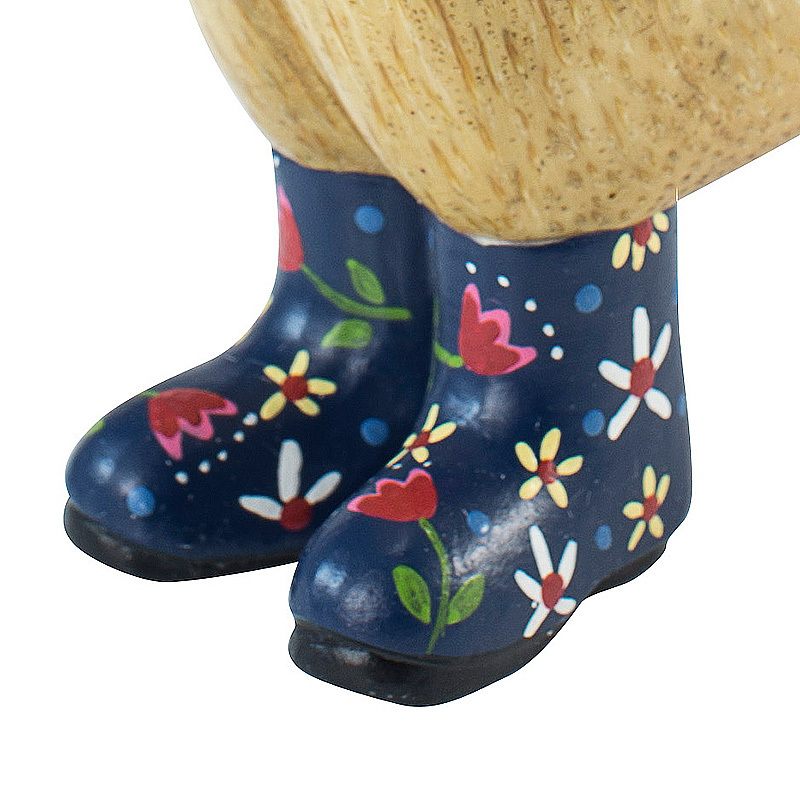 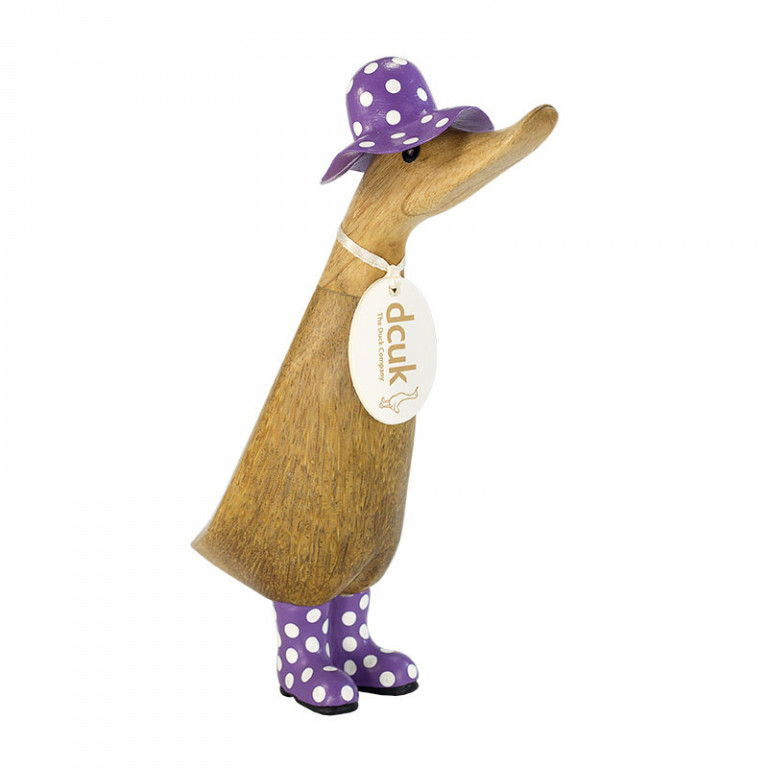 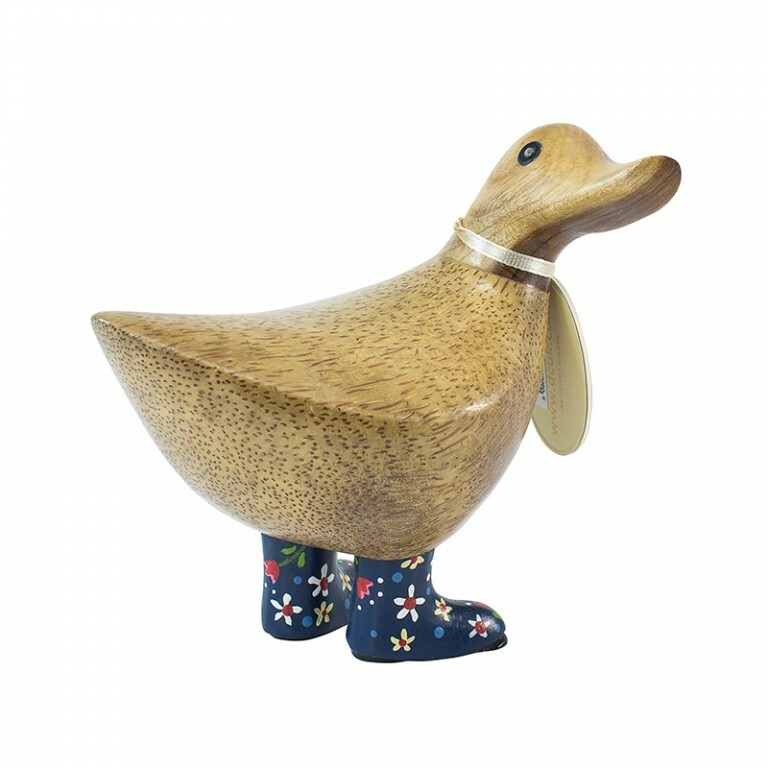 Natural Finish Duckling with Blue Floral Welly Boots, standing approximately 18cm high. 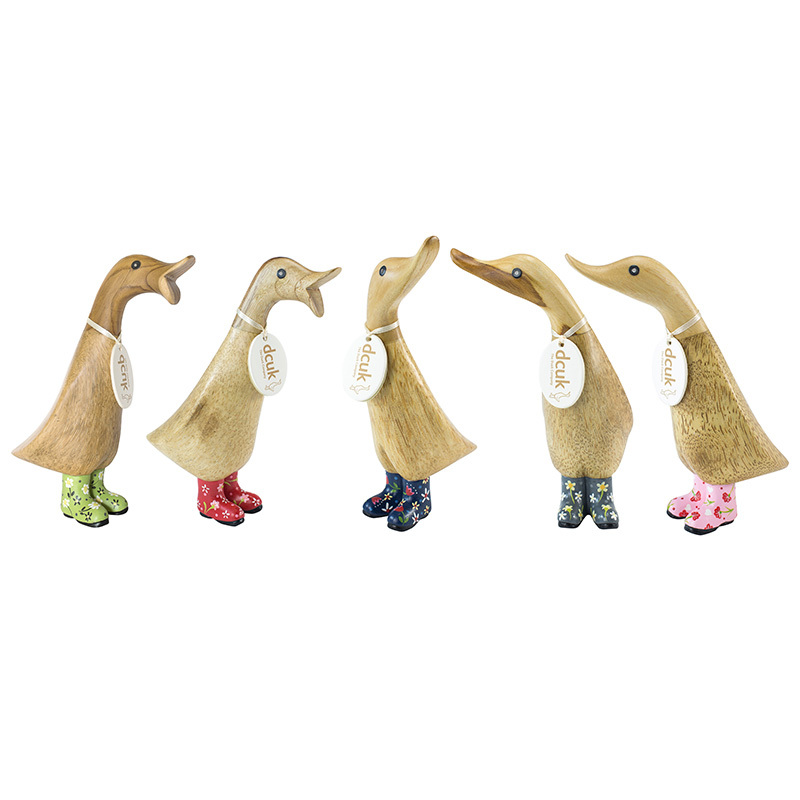 These beautifully crafted wooden birds make a perfect present for a loved one or are great as a unique gift for your home. All of our birds are hand carved and painted, giving them their own individual character and personality and making each one a truly unique gift. 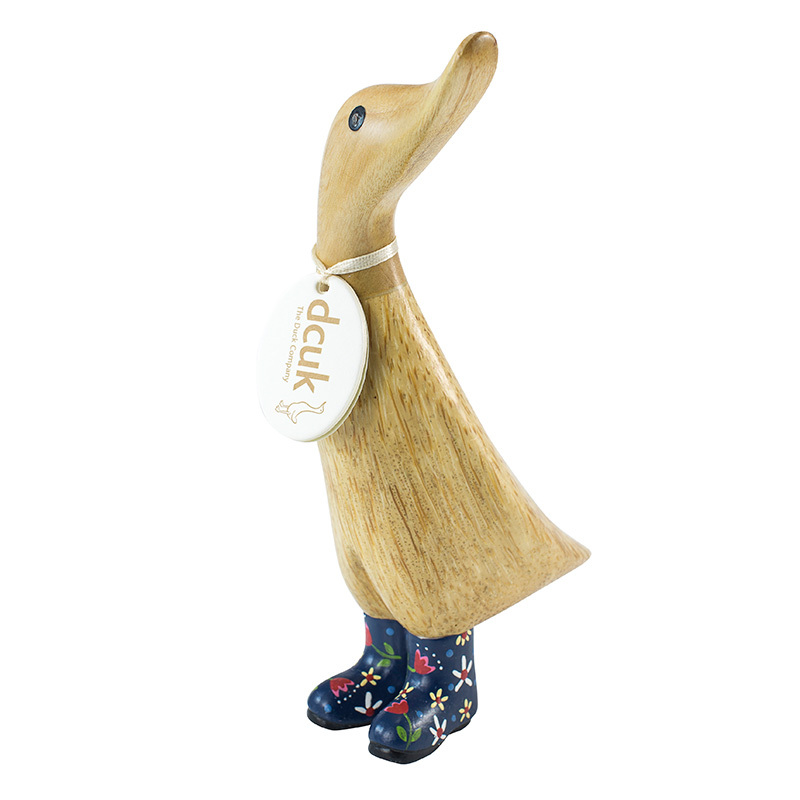 Comes with a randomly selected name tag (unless personalised) Note: All text on tags is in lower case.